Close to 40 of the most elite brands in Sri Lanka will be displaying the best of local products at a special exhibition that will coincide with the World Export Development Forum (WEDF) 2016. With the global summit scheduled to be held in Sri Lanka on 12 and 13 October this year, Sri Lankan enterprises such as Brandix Apparel Ltd., MAS Holdings, Akbar Brothers, Ceylon Tea Services, Camso Loadstar, Virtusa, 99X Technology, Gem Paradise and H.D. De Silva & Sons are ready to demonstrate their capabilities on a global platform. The International Trade Centre (ITC) together with the Ministry of Development Strategies and International Trade of Sri Lanka, through the Sri Lanka Export Development Board (EDB) is organising WEDF 2016, a much-anticipated event on the global export calendar. The theme of the two-day conference is ‘Trade for Success: Connect, Compete, Change’, and is also the basis for the exhibition. “To connect with the global export industry, and compete with our counterparts, we must show the world our manufacturing prowess. 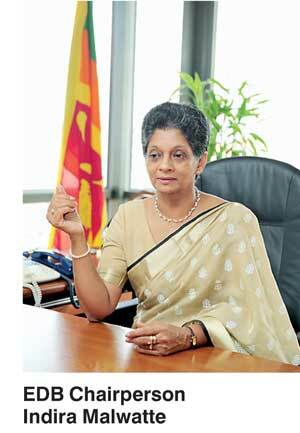 We must show the world what we are capable of producing, and that we also have the resources to back-up the demand with a steady supply-base,” Sri Lanka Export Development Board (EDB) Chairperson Indira Malwatte said. The exhibition also paves way for the Business-to-Business (B2B) meetings, with registered companies having a promising networking platform to expedite business opportunities and partnerships, both regionally and globally. Sectors such as tourism, information and communication technology (ICT), apparel and most importantly manufacturing will be covered for high potential buyers and sellers at these meetings. As of now, 117 companies have registered for the B2B meetings, with an estimated number of 650 attendees at the forum, including policy makers, trade experts, trade analysts and global business leaders. “It’s not too late to register for WEDF 2016. We are happy to extend our invitation to all stakeholders of the economy to come forward and join this endeavour, to make this conference a beneficial one for us all,” commented Malwatte.